In the high-profile Senate race between incumbent Ted Cruz and challenger Beto O'Rourke, there are numerous ways in which their unique relationships with the Hispanic community have already intersected. EDINBURG — Flanked by a nine-piece mariachi band, U.S. Rep. Vicente Gonzalez leaned on Beto O'Rourke’s roots while introducing his congressional colleague to a crowd of Rio Grande Valley residents at a recent campaign event. 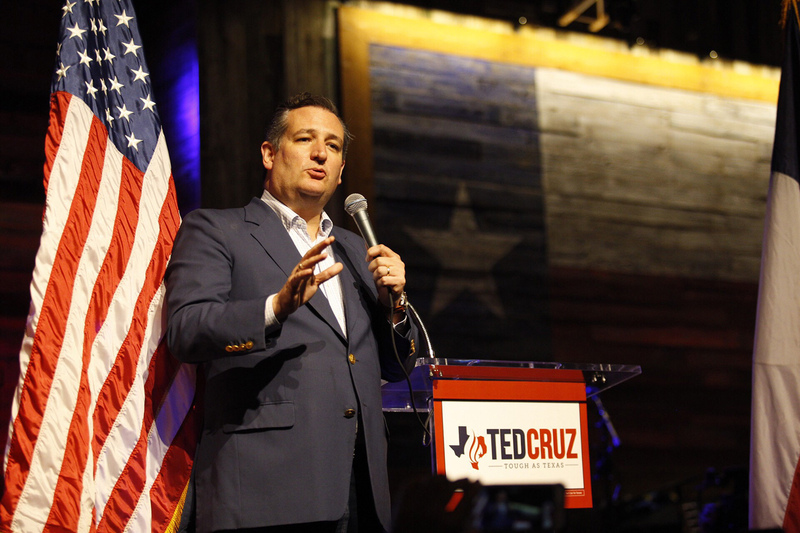 Around the same time this month, U.S. Sen. Ted Cruz, R-Texas, was huddling with a group of Hispanic business owners at a Mexican restaurant in downtown Houston. One of the organizers, longtime Cruz supporter Jacob Monty, admitted some of his friends were skeptical he could get Latinos to turn out for the senator, but he sought to prove them wrong. About 30 business owners ended up attending, and Monty estimated he could've gotten 100 if they had a bigger venue. "The issue I always start with is we need more Latino senators, not fewer Latino senators, and you can say whatever you want about a particular vote, but Ted is Hispanic," Monty said. "He is Latino." The split-screen campaigning by Cruz and O'Rourke illustrated their unique — even peculiar — connections to a Hispanic community that many see as the future of Texas politics. 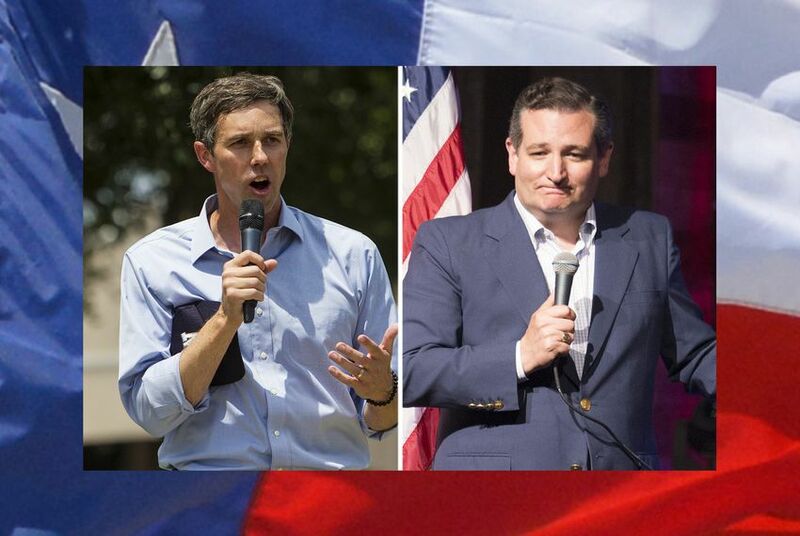 O'Rourke is white but has spent most his life on the Texas-Mexico border and has imbued himself with Hispanic culture, while Cruz is a Cuban-American from Houston whose political career is not as often closely associated with his Hispanic identity. The ways in which the two candidates’ unique relationships with the Hispanic community have already intersected in the high-profile race are numerous. There was Cruz’s ridiculing of O’Rourke’s first name “Beto” even though Cruz is best known by his own diminutive nickname. 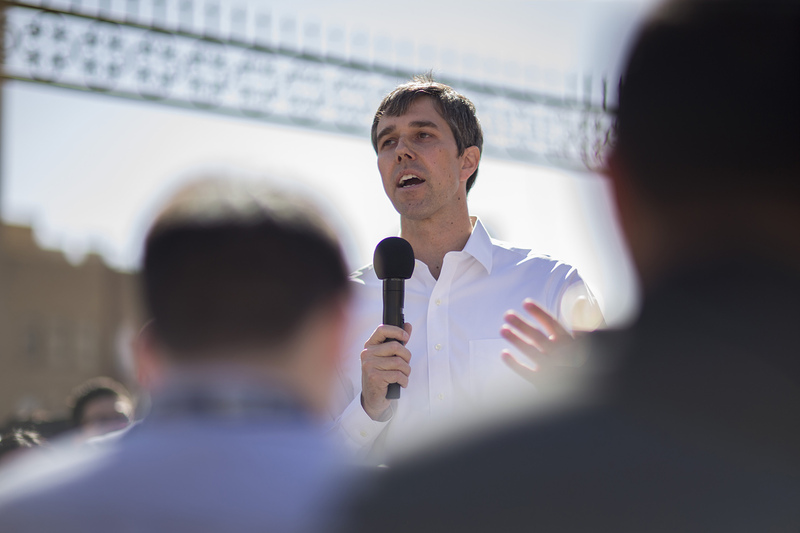 There was O’Rourke's conspicuous underperformance in border counties that called into question his support among Hispanic voters. And more recently, there was O’Rourke’s request to debate Cruz twice in Spanish, though Cruz is anything but fluent in the language. Cruz is the son of a Cuban immigrant, and his father’s story has been a staple of his stump speeches — how he fled the communist Cuban regime in the 1950s and came to America not knowing any English, possessing nothing but $100 sewn into his underwear and washing dishes for 50 cents an hour to pay his way through college. It's an experience many Hispanic Texans can relate to, Cruz says. A post-election survey done by Cruz’s pollster in 2012 found Cruz got 40 percent of the Hispanic vote against Democratic opponent Paul Sadler when he was first elected — a figure he often cities to show he outperformed Mitt Romney, the party's presidential nominee at the time. O’Rourke has never campaigned statewide before, but he’s been remarkably successful in El Paso, where Hispanics make up 81 percent of the population. O'Rourke unseated a longtime Hispanic incumbent in 2012 to represent the 16th Congressional District and sailed to re-election twice. On the immigration front, Cruz supports funding a wall along the U.S.-Mexico border and rails against “amnesty” for people living in the country illegally. That includes protections for “Dreamers," the common term for young undocumented immigrants who were brought to the country as children. O’Rourke is vehemently opposed to a border wall and wants a permanent solution for both Dreamers and their parents. In his current campaign, Cruz said he is focused on continuing to make “the case that the values of Hispanic voters, like the values of Texans throughout the state, are conservative values.” He is also seeking to persuade Hispanic voters that the modern Democratic Party has become too liberal for them, and that the party overlooks that "one of the communities that is harmed the most by unchecked illegal immigration is the Hispanic community." O’Rourke's primary performance went far from unnoticed by Cruz, a political obsessive in his own right. After the results came in, Cruz asked his team to run the numbers on which candidate earned more votes in his respective primary in the counties where Hispanic adults make up at least 40 percent of the population. Cruz had a higher tally than O’Rourke in 39 out of 62 of them. O’Rourke actually won the most populous counties on the border, including his home county of El Paso and most of the border counties in West Texas. He also won Hidalgo and Cameron counties — key counties in the Rio Grande Valley. And O'Rourke's vote tallies in most of those counties far surpassed votes for Cruz in the Republican primary. He conceded that he needed to spend more time in border counties but noted he has been pursuing a "much longer strategy" of visiting every corner of Texas to reach voters of all political stripes, not just seeking to drive up turnout in traditional Democratic strongholds. On the other side are Cruz loyalists like Janie Melendez, a member of the State Republican Executive Committee from McAllen. Melendez, a Mexican-born teacher, said she feels well-represented by Cruz as a Hispanic Texan: She does not want "amnesty" for people in the country illegally, she is unapologetically anti-abortion and she would like to see gun rights expanded. "I'm not a big fan of Robert O'Rourke," she said in an interview. Cruz chalked up the Ramos interview to another example of the willingness among Democratic politicians and national media reporters to engage in “race-baiting and trying to use racial stereotypes and bigotry"